Twin Needle Flatbed Heavy Duty Walking Foot Long Arm Sewing Machine. 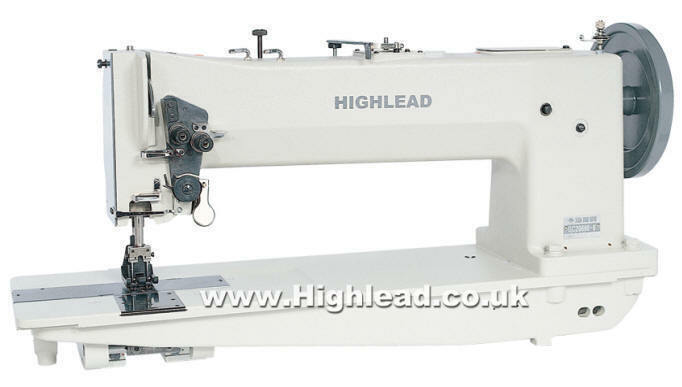 Highlead GC20698-6 extra heavy duty long arm flatbed sewing machine for twin needle lockstitch sewing on heavy & extra heavy weight materials. 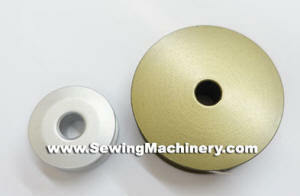 The long arm flat bed allows up-to 508mm* (20") clearance to the right of the needle, which is approximately twice the length of a standard sewing machine arm, and has a high under arm clearance of 145mm. It features a triple feeding action by way of: bottom feed, needle feed & walking foot top feed and is fitted with 2x extra large vertical axis hooks for use with thick heavy duty sewing threads. 30" extra long arm version also available.